Here we go: The next Read America Read Project is January 26th. 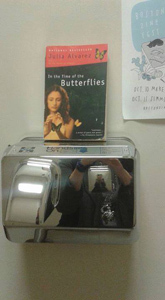 Leave a book for someone to take anywhere you want. This time, ask two people you know to do this also. This way the project will grow each month. I would like a book marker to go in every book so people know where they are coming from. Please e-mail me at the following e-mail address and I will send you an e-mail back with the book marker for you to print out and cut. Thank you for being a part of this project. Lets make January 26th great! Send me photos too. I have a list of names of who participated and as this grows, keep letting me know you are doing this. Thanks a zillion. You all rock. Lets get America reading!!!! John L. Stanizzi is author of the collections – Ecstasy Among Ghosts, Sleepwalking, Dance Against the Wall, After the Bell, Hallelujah Time!, High Tide - Ebb Tide, and Chants. His poems have appeared in Prairie Schooner, American Life in Poetry, The New York Quarterly, Paterson Literary Review, The Cortland Review, Rattle, Tar River Poetry, Rust & Moth, Connecticut River Review, Hawk & Handsaw, and many others. His work has been translated into Italian and appeared in El Ghibli, in the Journal of Italian Translations Bonafinni, and Poetarium Silva. His translator is Angela D'Ambra. John has read and venues all over New England, including the Mystic Arts Café, the Sunken Garden Poetry Festival, Hartford Stage, and many others. John is coordinator of the Fresh Voices Poetry Competition for Young Poets at Hill-Stead Museum, Farmington, CT. He is also a teaching artist for the national recitation contest, Poetry Out Loud. A former New England Poet of the Year, John teaches literature at Manchester Community College in Manchester, CT and he lives with his wife, Carol, in Coventry. This is what history sounds like, a song that takes over us until we join the Chants and become part of history. Thanks to John L. Stanizzi for showing us another path of walking into today. 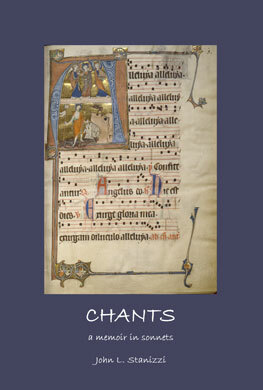 These loose sonnets with the punning title — "Chants"—push us in various directions: towards the past, towards the present, even towards the immensely problematical future. It's the story of a Catholic boy grown into a compassionate, intelligent man looking at the world as it has configured itself in his lifetime: all the changes. The difference from a newspaper account is that Stanizzi is an observer with music on his mind: "cause / to breathe in cleanly in the thrall of rain." These poems sing—"chants"—about the life he has lived out of all the lives he might have lived: "chance." It is a poetry of witness dealing with death, life, childhood and growth. But it also allows us to experience sudden miracles of flight: I am inspired/to pick him [a goldfinch] up—and he lets me!—his eyes/unsure and trusting in a lightning flash,/and then he flies, my upturned palm in rain. These inspiriting poems amplify and celebrate life. They find the deepest reaches of the human heart with a passion that will cause readers to pause and read again. From the beauty of goldfinches to the horrors of war and the joys and tribulations of family life, John Stanizzi discovers the universal in the personal. He turns words into instruments that pierce the soul. Since the start of the 21st century, Jüri Talvet (born in 1945 in Pärnu) has emerged as one of the internationally best-known Estonian poets and essay writers. Book-length selections of his poetry have appeared in English, Spanish, French, Italian, Russian, Romanian, Serbian and Catalan. 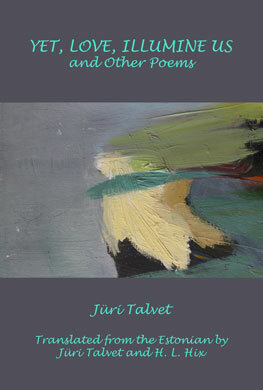 Yet, Love, Illumine Us, and Other Poems is Talvet’s third poetry book in English translation, following Estonian Elegy (2008) and Of Snow, of Soul (2010), both published by Guernica (Toronto). Talvet has chaired World / Comparative Literature at the University of Tartu since 1992 and is elected member of Academia Europaea (2016). H. L. Hix's recent books include a poetry collection, Rain Inscription (Etruscan Press, 2017), an essay collection, Demonstrategy (Etruscan Press, 2019), and an art/poetry anthology, Ley Lines (Wilfrid Laurier Univ. Press, 2014). His previous collaborations with Jüri Talvet include a selection of poems by the Estonian poet Juhan Liiv, Snow Drifts, I Sing (Guernica Editions, 2013), and anthologies of contemporary Estonian poetry: Vello ceo nórdico. Poesia estonia contemporánea (Universidade de Santiago de Compostela, 2002) and On the Way Home. An Anthology of Contemporary Estonian Poetry (Sarup & Sons, 2006). As, according to Aristotle, philosophy begins in wonder, so too do Talvet's poems. But Talvet's is not a youthful, naïve wonder. Instead, it is the wonder that Elias Canetti speaks of in this way: "The real creator gets bolder with age…. [T]he more one has experienced, the more there is to be astonished by. Our capacity for wonder grows with experience, becomes more urgent." The poems in Yet, Love, Illumine Us are bold in proportion to the urgency and maturity of their astonishment, the capaciousness of their wonder. George Ovitt is the author of Splitting the Difference (poems), The Snowman (stories), and Stillpoint (a novel). Since 2012 he has co-written the popular literary blog Talented Reader. He lives in New Mexico. 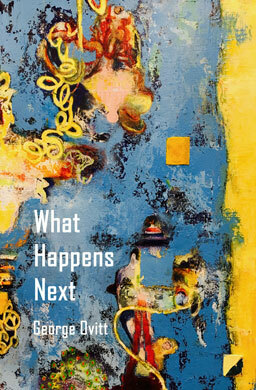 The poems in What Happens Next allow us to enter the patience and calm of a poet who expresses himself after long listening, creating a welcome intimacy and a sense of life considered and savored. 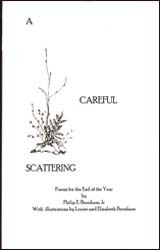 Natural in their diction, unforced, these poems create clarity even when looking out at a chaotic world. 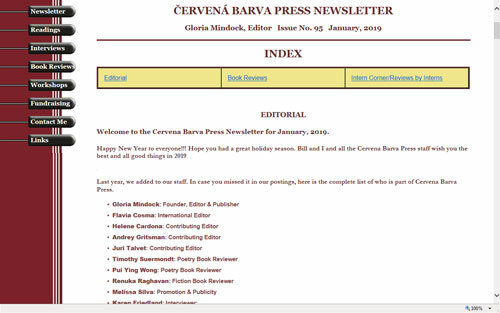 ČERVENÁ BARVA PRESS was founded in April of 2005. 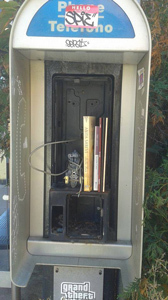 The press solicits poetry, fiction, and plays from various writers around the world, and holds open contests regularly for its chapbooks, postcards, broadsides and full-length books. I look for work that has a strong voice, is unique, and that takes risks with language. Please see submission guidelines for current information. I encourage queries from Central and Eastern Europe. Červená Barva Press website is copyrighted and may not be reproduced in any form without permission.